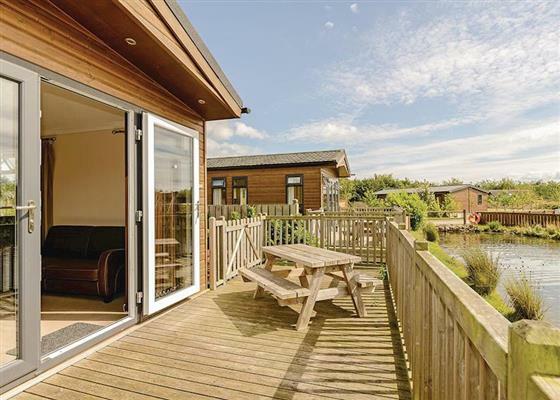 Woodland Lakes Lodges in Carlton Miniott sleeps between 2 and 8 people, with the accommodation being apartments, holiday homes and lodges. At Marine Holiday Park you enjoy a setting close to the centre of famous Rhyl, with its 3 miles of sandy golden beach and exciting attractions. There is a superb tropical indoor heated pool, a poolside bar and live family entertainment from top class cabaret acts. You can join in the dancing or simply enjoy a drink and soak up the relaxing atmosphere. 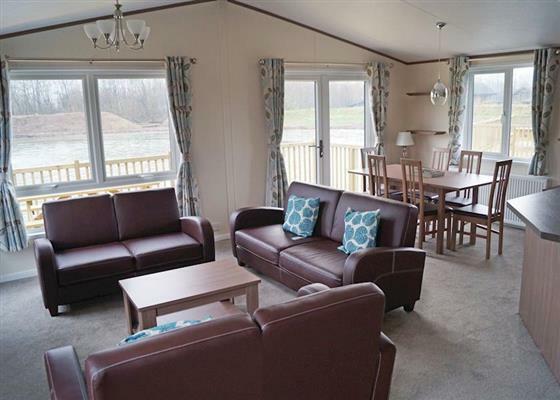 If you want to find out what other people have said about Woodland Lakes Lodges, read the reviews on Woodland Lakes Lodges for more information. 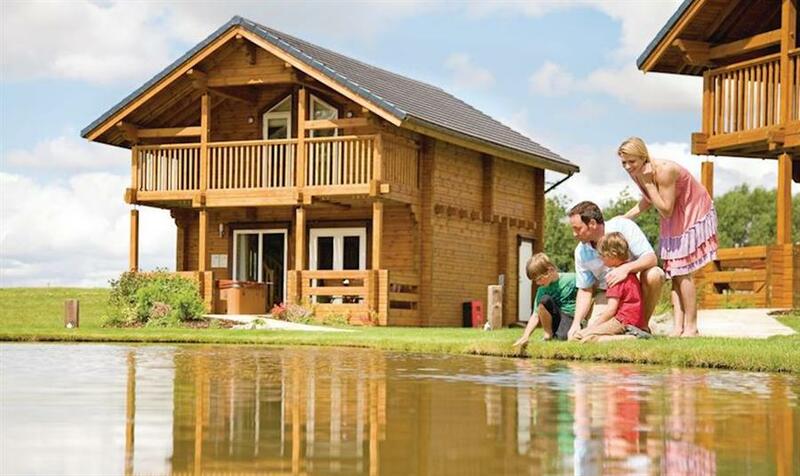 And, for those last minute bargains, have a look at some of the special offers available at Woodland Lakes Lodges. New in 2009. Contemporary semi detached lodge with one double bedroom with ensuite shower. Outdoor hot tub. No pets. "Brand new for 2017. 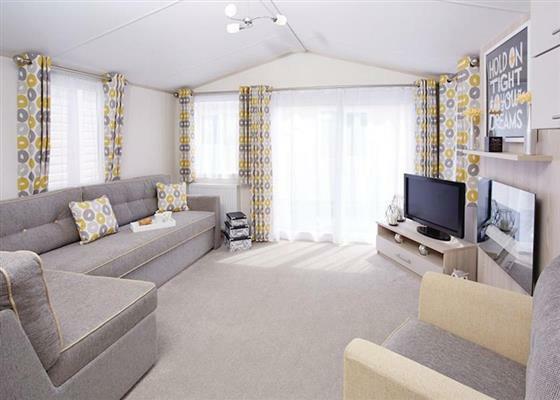 Compact and ultra-stylish timber clad holiday home with one double with ensuite bath with overhead shower and one twin with 2’ 6"" beds, both with TV and freeview. Separate shower. Lounge with breakfast bar and French doors leading onto decking. Outdoor hot tub overlooking the lake." "Compact and ultra-stylish timber clad holiday home with one double with TV/Freeview and ensuite shower and one twin with 2’ 6"" beds. Separate shower. Lounge and French doors leading onto decking. Outdoor hot tub. No pets." Cosy lodge with one double and one twin with child size beds. Shower. Lounge with French doors leading onto decking. Cosy lodge with one double and one twin with child size beds. Shower. Lounge with French doors leading onto decking. Outdoor hot tub. Stylish two story solid log lodge with balcony with superb views. Ground floor: Open plan lounge/kitchen/diner. Shower. First floor: One double with ensuite bath and one twin. Bathroom. Outdoor hot tub. "New in 2009. Contemporary single storey lodge. Two doubles, one with with ensuite. Family bathroom. Outdoor hot tub." Compact timber clad lodge with one double and one twin. Bath with overhead shower or shower. Open plan living area. Compact timber clad lodge with one double and one twin. Bath with overhead shower. Open plan living area. Outdoor hot tub. 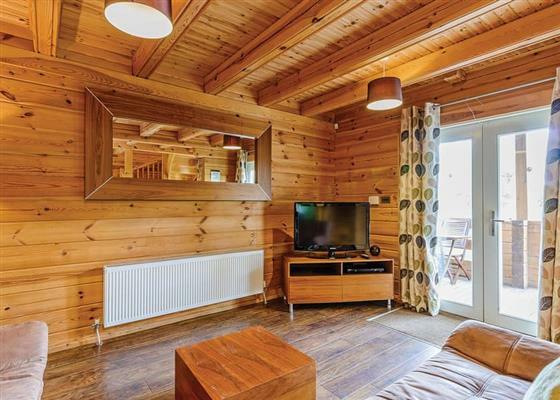 "Compact and ultra-stylish timber clad holiday home with one double with TV/Freeview and ensuite shower and one twin with 2’ 6"" beds. Separate shower. Lounge and French doors leading onto decking. Outdoor hot tub. Overlooking the lake. No pets." Contemporary single storey lodge with open plan lounge/kitchen/diner. One double and one with child size bunks. Shower. Decking with outdoor hot tub. "Brand new for 2016. Compact timber clad holiday home with one double, one twin and one twin with child size beds. Jack & Jill bathroom with bath with overhead shower and Jack and Jill shower room. Lounge with French doors leading onto decking area, overlooking the lake. Outdoor hot tub." "New in 2016. 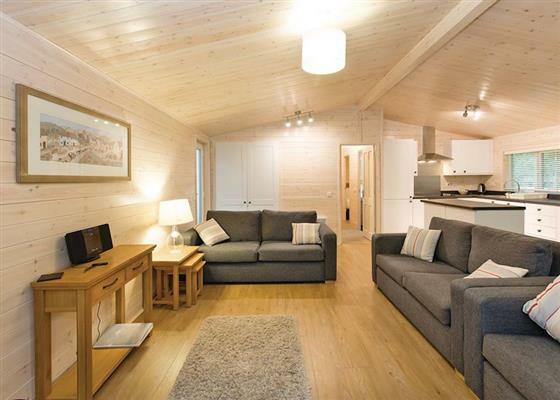 Compact timber clad holiday home with one double, one twin and one twin with 2’ 6"" beds. Jack and Jill bathroom with bath with overhead shower and Jack and Jill shower room. Lounge with French doors leading onto decking area, overlooking the lake. Outdoor hot tub. Overlooking the lake." New in 2009. 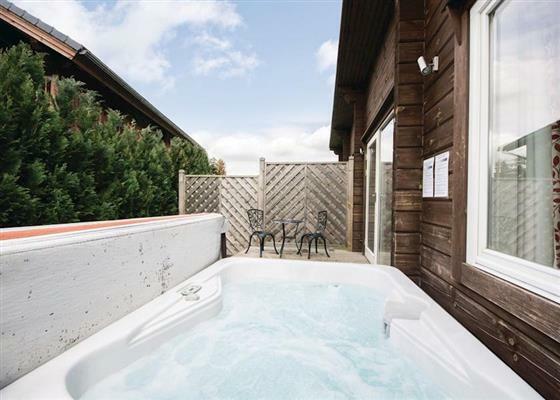 Stylish two storey lodge with balcony with superb views. One double with ensuite bathroom and one twin. Family bathroom. Additional sleeping for two in the lounge. Ground floor shower. Outdoor hot tub. New in 2011. 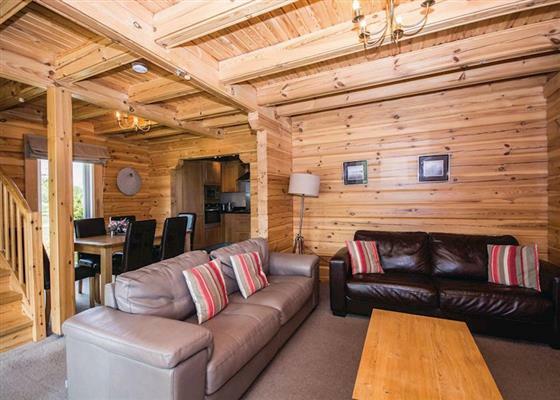 Stylish two storey lodge with balcony with superb views. one double with ensuite bathroom and one twin. Family bathroom. Additional sleeping for two in the lounge. Ground floor shower. Outdoor hot tub. Overlooking ornamental pond. "Brand new for 2017. 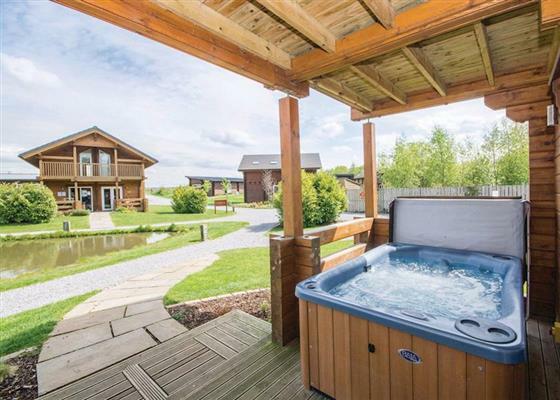 Contemporary and stylish luxury lodge with one double with ensuite shower room and two twin. Bathroom with bath and overhead shower. Spacious lounge with French doors leading to decking area, overlooking the lake. Outdoor hot tub. No pets." "Brand new for 2016. 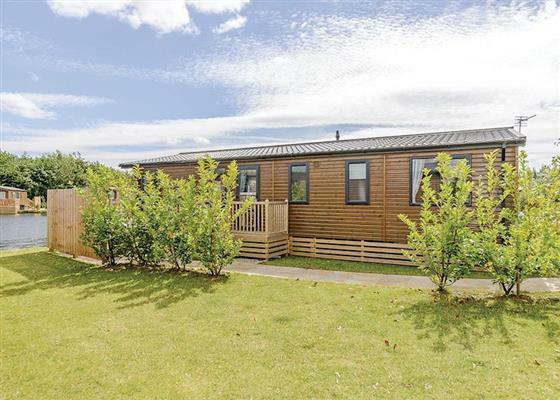 Compact timber clad holiday home with two doubles, one twin and one twin with child size beds. Jack & Jill bathroom with bath with overhead shower and Jack and Jill shower room. Lounge with French doors leading onto decking area, overlooking the lake. Outdoor hot tub." 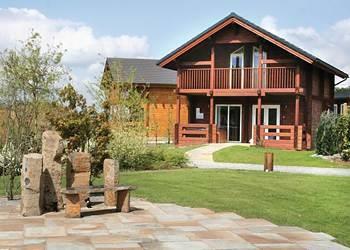 Find out about Woodland Lakes Lodges, including prices and availability. 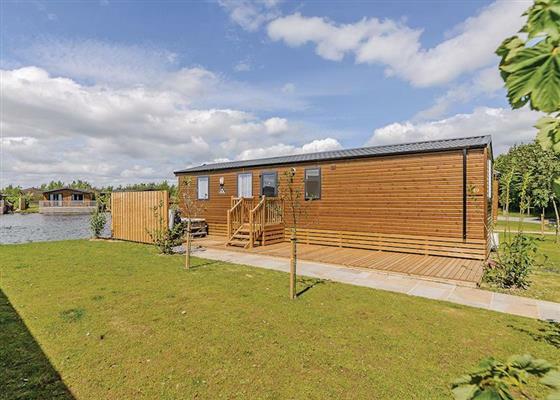 There aren't currently any special offers at Woodland Lakes Lodges however, the special offers shown below are all on parks within 30 miles of Woodland Lakes Lodges - so you may find these useful. Holiday at Weir Deluxe WF in North Yorkshire starting on Saturday 27 April 2019 for 7 nights. Holiday at Weir Deluxe in North Yorkshire starting on Saturday 27 April 2019 for 7 nights. Holiday at Weir Deluxe in North Yorkshire starting on Saturday 11 May 2019 for 7 nights. Holiday at Weir Deluxe 3 in North Yorkshire starting on Saturday 11 May 2019 for 7 nights. Holiday at Woodlands Gold 6 in North Yorkshire starting on Saturday 07 September 2019 for 7 nights. Holiday at Boston Lodge in North Yorkshire starting on Saturday 07 September 2019 for 7 nights. Holiday at Woodlands Gold 6 in North Yorkshire starting on Saturday 14 September 2019 for 7 nights. Holiday at Woodlands Gold 4 in North Yorkshire starting on Saturday 21 September 2019 for 7 nights. There are 19 holiday parks within 10 miles of Woodland Lakes Lodges. Boatmans Cottage in Skipton, Yorkshire Dales National Park, and sleeps 4 people. 31 miles. Lane House in Wharfedale, North Yorkshire, and sleeps 6 people. 27 miles. Beck Cottage in Pocklington, Yorkshire. 33 miles. Holly Cottage in Kirkbymoorside, North Yorkshire, and sleeps 4 people. 19 miles. Square Farm Barns - Low Horcum View in Pickering, North Yorkshire. 28 miles. The Boskins in Whalley, Lancashire, and sleeps 4 people. 48 miles. Lenys Cottage in Middleton-in-Teesdale, Durham, and sleeps 7 people. 40 miles. Red House in Scarborough, North Yorkshire, and sleeps 10 people. 39 miles. Springfield House in Middleton-in-Teesdale, Durham. 39 miles. Kildale Barn in Stokesley, North Yorkshire, and sleeps 4 people. 21 miles. The Hideaway in Pickering, North Yorkshire, and sleeps 2 people. 27 miles. Lake House in Whitby, North Yorkshire, and sleeps 12 people. 35 miles. Towngate Cottage in Foulridge, Lancashire. 39 miles. Spider Cage Cottage in Tow Law, Durham. 39 miles. Ing Hill Barn Apartments in Mallerstang Dale, Kirkby Stephen. 40 miles. Chateauneuf in York, North Yorkshire, and sleeps 8 people. 21 miles. The Mount in Sedbergh, North Yorkshire, and sleeps 8 people. 47 miles. Beckside Cottage in Penrith, Cumbria, and sleeps 6 people. 43 miles. The Nunnery in Leyburn, North Yorkshire. 24 miles. Shutters in Beamish, Durham, and sleeps 4 people. 46 miles. Top Byre in Bishop Auckland, Durham, and sleeps 2 people. 48 miles. Tower Cottage in Bridlington, North Humberside, and sleeps 4 people. 43 miles. 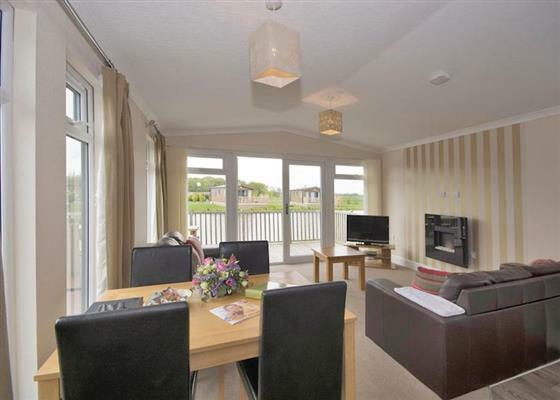 Sandside in Scarborough, North Yorkshire, and sleeps 10 people. 41 miles. Holme View in Hawes, North Yorkshire, and sleeps 4 people. 33 miles. Quarry Cottage in Corbridge, Northumberland, and sleeps 2 people. 48 miles. Root Farm Cottage in Clitheroe, Lancashire, and sleeps 4 people. 49 miles. 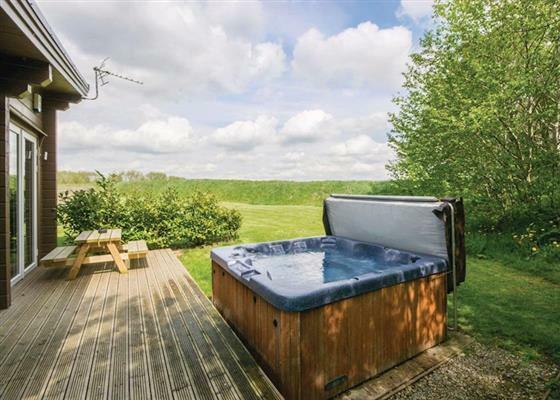 Garth Cottage in York, North Yorkshire, and sleeps 9 people. 14 miles. Appleshine Cottage in Almondbury, North Yorkshire, and sleeps 4 people. 44 miles. Kate's Cottage in Skipton, West Yorkshire, and sleeps 5 people. 28 miles. Crow Hill Estate - The West Wing in Marsden, West Yorkshire, and sleeps 8 people. 48 miles. Snowdrop Cottage in York, North Yorkshire, and sleeps 3 people. 22 miles. Little Garth in Pickering, North Yorkshire. 17 miles. Old St. Lukes Church in Kirkby Stephen, Cumbria, and sleeps 6 people. 44 miles. Oakdene in Sedbergh, Cumbria, and sleeps 20 people. 45 miles. Wren's Nest in Thirsk, North Yorkshire, and sleeps 4 people. 2 miles. The Refuge in Appleby, Cumbria, and sleeps 5 people. 45 miles. Spen House in Settle, Lancashire, and sleeps 10 people. 48 miles. Hope Cottage in Whitby, North Yorkshire, and sleeps 6 people. 36 miles. Blackthorn Cottage in Middleton-in-Teesdale, Durham, and sleeps 4 people. 37 miles. Candy Cottage in Kirkby Lonsdale, Cumbria, and sleeps 4 people. 49 miles. Oakland House in Holmfirth, West Yorkshire, and sleeps 13 people. 48 miles. Fox Cottage in Pickering, North Yorkshire, and sleeps 4 people. 13 miles. The Old School in Reeth, North Yorkshire, and sleeps 10 people. 28 miles. 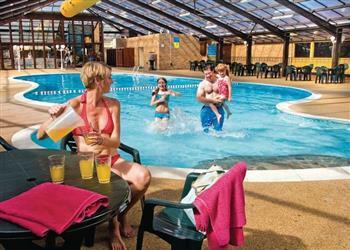 Beachcomber Lodge in Bridlington, Yorkshire, and sleeps 14 people. 49 miles. Bank Bottom Cottage in Haworth, Yorkshire Dales, and sleeps 4 people. 33 miles. 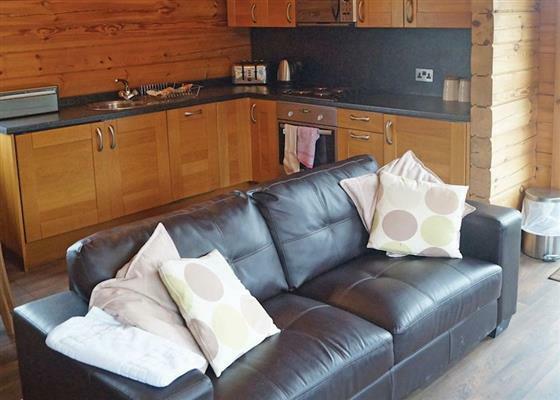 Birch Lodge in Filey, North Yorkshire, and sleeps 10 people. 44 miles. 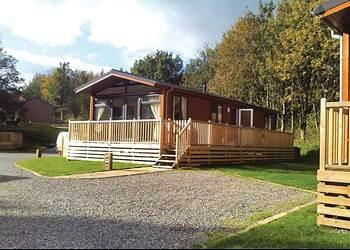 Gisburn Forest Lodge in Settle, North Yorkshire, and sleeps 5 people. 41 miles. Eskape Cottage in Whitby, North Yorkshire, and sleeps 6 people. 32 miles. The Orchard in York, North Yorkshire, and sleeps 5 people. 22 miles. Rosemary Cottage in Pickering, North Yorkshire, and sleeps 5 people. 25 miles. Mortar Barn in Whitby, North Yorkshire, and sleeps 8 people. 35 miles. Low Muffles in Pickering, North Yorkshire, and sleeps 6 people. 24 miles. Beck View in West Burton, North Yorkshire. 24 miles. The Lake House in Whitby, North Yorkshire, and sleeps 12 people. 35 miles. Igdrasil in Robin Hoods Bay, North Yorkshire, and sleeps 16 people. 37 miles. Longdale Cottage in Hawes, North Yorkshire, and sleeps 4 people. 31 miles. Sea Blue Cottage in Scarborough, North Yorkshire, and sleeps 6 people. 41 miles. Moor Farm in Filey, North Yorkshire, and sleeps 12 people. 46 miles. Point Grey in Malton, North Yorkshire, and sleeps 10 people. 22 miles. Housekeepers in Middleton-in-Teesdale, Durham. 40 miles. Richmond House in Thirsk, North Yorkshire, and sleeps 10 people. 5 miles. Ryndle Corner in Scarborough, North Yorkshire. 40 miles. Stank House Farm in North Yorkshire, North Yorkshire, and sleeps 6 people. 27 miles. Townend Farm in Appleby-in-Westmorland, Cumbria. 47 miles. Frankland House in Whitby, North Yorkshire, and sleeps 12 people. 36 miles. Housemartins Cottage in York, North Yorkshire, and sleeps 4 people. 19 miles. Hackfall Cottage in Laverton, North Yorkshire, and sleeps 4 people. 11 miles. Oak Dene in Northallerton, North Yorkshire, and sleeps 12 people. 12 miles. This cottage in Robin Hoods Bay, North Yorkshire, and sleeps 10 people. 38 miles. This cottage in Richmond, North Yorkshire, and sleeps 16 people. 20 miles. Holbrook House in Richmond, North Yorkshire, and sleeps 10 people. 19 miles. This cottage in Sandsend, North Yorkshire, and sleeps 6 people. 35 miles. York House in Richmond, North Yorkshire, and sleeps 10 people. 19 miles. Deer Close West Farmhouse in Horsehouse, North Yorkshire. 22 miles. Lawn House in Low Road, North Yorkshire, and sleeps 8 people. 28 miles. Waters Edge in Thornton-le-Dale, North Yorkshire, and sleeps 5 people. 27 miles. Inglenook Cottage in Grassington, North Yorkshire, and sleeps 5 people. 27 miles. Micklethorn in Broughton Hall, North Yorkshire, and sleeps 10 people. 34 miles. Crayke House in Leyburn, Yorkshire Dales National Park. 23 miles. Alondra Cottage in Blacko, Lancashire, and sleeps 5 people. 41 miles. Stainton Cotes in Coniston Cold, North Yorkshire. 35 miles. Gable End Cottage in Goathland, North Yorkshire, and sleeps 4 people. 30 miles. The Old House Cottage in Flixton, North Yorkshire, and sleeps 3 people. 40 miles. Swiss Cottage in Rievaulx, North York Moors National Park, and sleeps 4 people. 11 miles. This cottage in Richmond, North Yorkshire, and sleeps 10 people. 14 miles. Bluebell Barn in Kirkby Stephen, Yorkshire Dales National Park, and sleeps 6 people. 45 miles. The Nest in York, North Yorkshire, and sleeps 4 people. 23 miles. Tudor House in Easingwold, North Yorkshire, and sleeps 8 people. 11 miles. The Hind House in Cottam, North Yorkshire, and sleeps 8 people. 39 miles.